If you’re an injured worker seeking benefits to cover lost wages or unreimbursed medical expenses, or you’ve developed an illness because of a jobsite exposure to toxic materials, it’s critical that you retain a lawyer with extensive knowledge, skill and experience handling workers’ compensation and workplace injury claims. The workers’ compensation process can be complex, even for legal professionals—the best chance of full financial recovery is with an attorney who understands the workers’ compensation process, who has successfully recovered benefits for other injured workers. Properly developing and presenting medical evidence—One of the principal reasons many workers’ compensation claims are initially denied is because claimants offer insufficient or incomplete medical evidence. An experienced workers’ compensation attorney will know when it’s necessary to obtain an expert medical opinion, to depose medical experts or when medical records are missing something. Development and introduction of vocational evidence—It’s not enough to show that you’ve suffered injury. You also need to show what the physical requirements are for your job and why you can’t meet them. This may require testimony about your daily activities or about current safety or training programs at you place of employment. Negotiating a settlement, if appropriate—Unless your attorney has handled quite a few workers’ compensation claims, he or she won’t have a realistic idea of the value of your claim. An experienced workers’ compensation lawyer will be able to quickly look at your disability rating, whether it partial/total or temporary/permanent, and incorporate the costs of past and future medical expenses to determine the full extent of your losses. At Pyrros & Serres, we bring more than a half a century of combined workers’ compensation experience to injured workers in Queens and across the New York City metropolitan area. We built our reputation on personal service and attention, always taking the time to learn the details of your situation, so that we can tailor our representation to get the outcome you deserve. 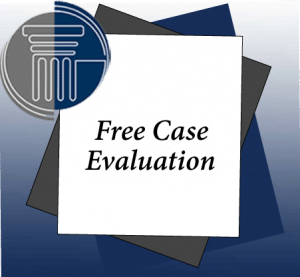 Many of our new cases come to us as referrals from our colleagues in the legal profession, from satisfied clients and from medical professionals.